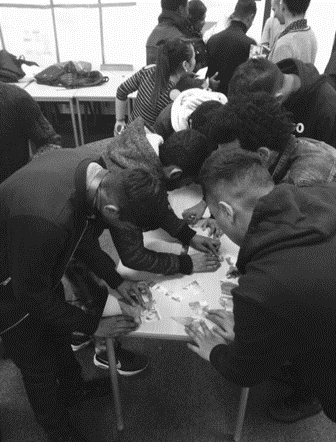 In an inspiring guest post, Arts Award advisers Kate Duffy & Georgie Bricknell share their experience of working with a group of young refugees. Their project saw young people achieve Silver Arts Award after a successful moderation earlier this year. In January 2016 a group of young men turned up to a drama workshop in the living room of a Supported Accommodation for refugee young men. Most of them had never set foot in a theatre, let alone performed onstage. 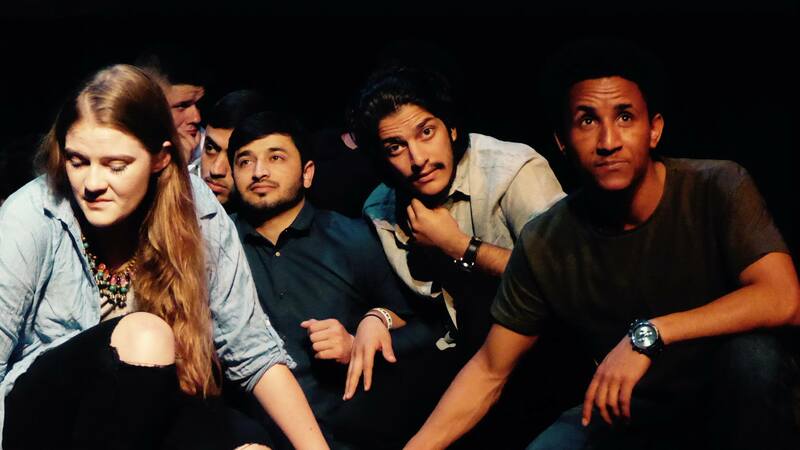 This was the start of a major project for Applied Theatre company Phosphoros Theatre, working in partnership with refugee community organisation Afghan Association Paiwand. These drama workshops slowly turned into a sell-out production about unaccompanied minors in the UK, called ‘Dear Home Office’, which was performed 17 times in London and at the Edinburgh Fringe, and was nominated for the Amnesty Freedom of Expression Award. The icing on the cake of this first-time project was supporting our cast to achieve Silver Arts Award, a qualification which, at Level 2, is up to 3 Levels above what some cast members are currently working on in college. Integrating Silver Arts Award as part of the ‘Dear Home Office’ project provided a structure within which we could challenge the young men beyond the expectations of a conventional drama project. The framework underpinning Unit 1 created space for our cast to develop their own skills as artists; a rich learning experience for our ‘actors’ who had never acted before. Through play, testimony, improvisation and scripted work we were able to teach the basics of performance as well as discover impressive skills in movement, comic timing and monologue. The flexibility of Silver Arts Award has enabled us to work with young people who stereotypically have a reputation for being difficult to engage, in a way that sets them up for success. In ‘Dear Home Office’ we challenge the dominant negative representations of refugees, and saw Unit 2 in Silver Arts Award as an opportunity to further encourage our cast to have agency and ownership over their work. 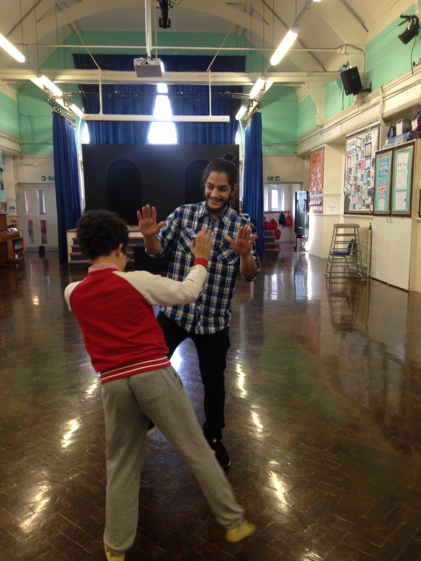 Unit 2 promoted them to put their newfound drama skills in to practice through teaching and leading others. Key to engaging our budding workshop leaders was supporting their varying interests; we had a drama lesson for KS1 & KS2 children, a role play session for adult volunteers training to be mentors, a drama session for Afghan new arrivals and a drama/journalism workshop for an ESOL class. With varying levels of English many of these young people struggle to get qualifications to represent their learning and the extent of the skills they have. We made Silver Arts Award accessible through the use of workshops, video recordings, photos and practical discussions as a way of ensuring each section was completed. From discussions with comedian Mark Thomas and a spoken word workshop with rapper Sami Switch, to meeting the cast of a show they’d reviewed (Glasgow Girls), and touring the Roundhouse Studios, they explored multiple arts opportunities available to them. The Arts Award has been a practical, holistic learning experience. Be Flexible. Use different ways to record evidence; limited English literacy does not need to be a barrier to succeeding. Be Bold. Challenge the young people with their activities, don’t just do the minimum! Enlist the support of volunteers to provide additional 1:1 help when needed. Don’t Rush. For young people to get the most out of Silver Arts Award they must take time to allow their skills to develop. This way they can create bigger and more ambitious projects. With commitment from everyone involved in a project, and the time to tailor support to suit multiple abilities and learning styles, Silver Arts Award can add huge value to participatory arts work with marginalised youth.